We have created this Terms of Usage and Privacy Statement to help show DownloadSong.com's commitment to privacy. This Statement describes DownloadSong.com's information gathering and dissemination practices for the Website. We do not automatically collect any personally identifiable information, such as your name, address, or email address, unless you voluntarily submit it. If you send us personal correspondence, such as emails or letters, we may collect them into a file specific to you. If, at any time, you do not wish to receive email from us, please send a message to info@downloadsong.com requesting that we stop. We do reserve the right to release current or past user information internally within DownloadSong.com and its affiliates, partners and subsidiaries. We also reserve the right to release current or past user information to third parties for limited purposes if we believe that usage is (i) in violation of this Agreement; (ii) used to commit unlawful acts; and/or (iii) is required to be disclosed to comply with applicable laws or regulations, or with a court or administrative order. Except as stated in this paragraph, we will not share information specific to users with third parties. We may, however, disclose aggregate user information to third parties. DownloadSong.com uses a secured network to store your personal information. In order to view or change personal information that has already been stored, a secured server is used and information is transmitted via SSL encryption. 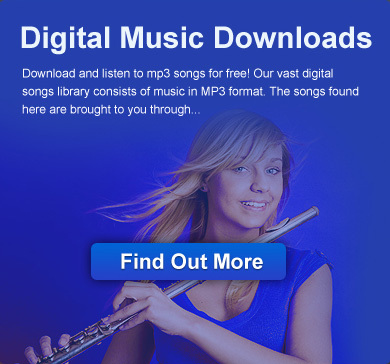 We make every effort to ensure that your purchase experience at DownloadSong.com is secure. We use state-of-the-art data encryption technology to protect against loss, misuse or alteration of your user information. Secure Socket Layers (SSL) encrypt the information sent between your computer and our database. In addition, we use Internet fraud screening to protect credit card transactions. To be sure you're browsing secure pages, check your Web browser's status bar (located at the bottom of the window) for the closed padlock icon. This icon appears in the latest versions of Internet Explorer and Netscape Navigator to tell you that you are viewing a secure web page. Also, all browsers display an "s" after the "http" (https://.) in the Web site address to indicate that you're in a secure environment.